At the fictional Faber College where the comedy Animal House takes place, academic life is supposedly governed by the credo that is inscribed on the statue of founder Emil Faber: "Knowledge is good." A similarly vague Platonic belief pervades Dave Eggers's new novel, The Circle, about a Bay Area tech firm that compresses Google, Facebook, Twitter, Yelp, and Instagram into one nefarious entity. At one point, one of the three Wise Men who govern the Circle says, "I insist that all that happens should be known." Later, he says with utter seriousness, "We all have a right to know everything we can. We all collectively own the accumulated knowledge of the world." The warnings of Ecclesiastes about the grief that knowledge brings hold little sway in Mountain View - excuse me, "San Vincenzo." Like Animal House, The Circle is set on a bucolic campus that is buffered from the concerns of the world beyond. And it, too, is a tale of innocence lost. But while John Landis was a comedian, Eggers is a grim satirist who wants to instruct at least as much as he wants to entertain. It is Animal Farm, not Animal House, that The Circle most resembles. Some novels are propelled by the beauty of their language: You would read Nabokov if he wrote about the cooling of concrete. Others, like Philip Roth, fill their characters with all the many madnesses of life. The writing in The Circle, however, is not beautiful, and neither the protagonist, Mae Holland, nor any of her fellow Circlers (the moniker puts me in mind of vultures) are rendered with psychological exactitude. What fuels this novel is its thunderbolt of an idea: Digital culture is suffocating us and, what's more, is doing so under the duplicitous guise of widespread human beneficence. No book of either fiction or journalism since Nicholas Carr's The Shallows: What the Internet Is Doing to Our Brains has made me as wary of the tweets and "likes" that crowd my days. The Circle is Eggers's fourth novel. He started as a memoirist - and an ironist - with A Heartbreaking Work of Staggering Genius. But his ventures since then - whether founding the childhood literacy organization 826 Valencia or chronicling the travails of a Syrian immigrant in flooded New Orleans (Zeitoun, his only work of book-length reportage) - have signaled what The New York Times once called his "unembarrassedly serious engagement with America," reminiscent of Norman Mailer. This is hyperbole, but it is also true. Eggers, at his earnest, sweeping best, makes Jonathan Franzen and younger novelists like Jonathan Safran Foer and Tao Lin seem like self-involved children brandishing meager toys. Still, some irony is evident as The Circle opens: "My God, Mae thought. It's heaven." The Circle is rather closer to heaven's opposite, but this digital Panopticon cleverly couches its ambitions in the kind of do-no-evil ethos that allegedly governs Google, even in the face of antitrust and privacy concerns. And as Mae rises through the corporation, she cedes ever more of her identity to the Circle in the name of "transparency." She comes to believe, eventually, that all "secrets are lies" and knowledge - the kind that the Circle transmits, shares, stores, and commodifies - "is a human right." 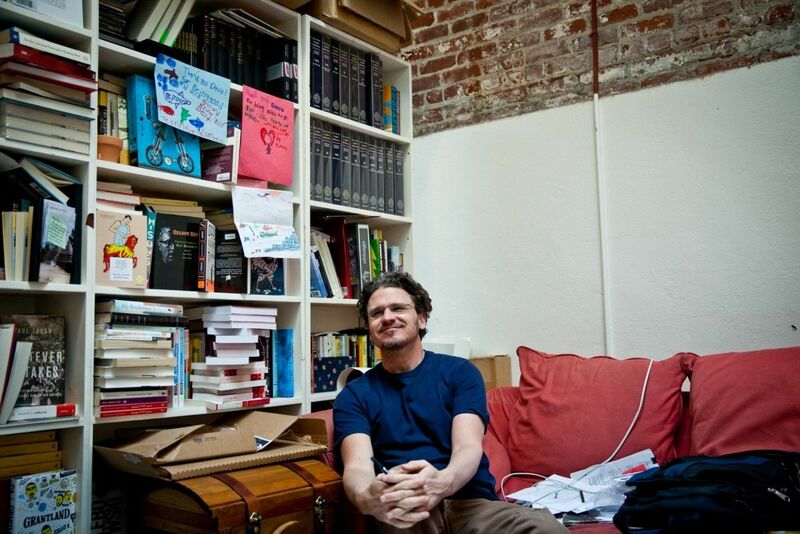 Some have accused Eggers of getting it all wrong: The New Republic, for example, published a listicle titled "5 Things Dave Eggers Fundamentally Misunderstands About the Internet." Reuters blogger Felix Salmon opined, "Eggers strays so far away from verisimilitude that his book barely even feels like satire." Margaret Eby of the New York Daily News charged that "The Circle fails to acknowledge that any of the people who operate on the Internet could also lead successful lives outside of it." And The New York Times asked, rhetorically, "has he missed his target, producing a sanctimonious screed that fails to humanize its characters and understand its subject?" Did you see my daughter's request? he asked. Mae checked her screens, looking for some request from Edward's daughter. Eventually he clarified that his daughter had a different last name, and was in school in New Mexico. She was raising awareness of the plight of bison in the state, and was asking May to sign a petition and mention the campaign in whatever forums she could. Mae said she would try, and quickly sent a zing about it. Thank you! Edward wrote, followed, a few minutes later, by a thank-you from his daughter, Helena. This is a novel about the silence inside your head. Speaking at Dartmouth in 1995, the great Soviet-American poet Joseph Brodsky rhapsodized on the "monotonous splendor" of boredom, which he called "your window on time's infinity." The Circle aims to close that window. In the novel's most frightening scene, Circlers use drones to hunt down Mercer, a former boyfriend of Mae who, disgusted with the digital world, is hiding in the wilds of Oregon. He has done nothing wrong, but the mere thought that he wants to escape scrutiny, that he does not want to "participate" in the Circle, irks Mae. Eggers's depiction of Mercer's demise is worthy of Orwell. What's more, the novel offers rebuke to silliness like "In Defense of Distraction," an article in New York magazine by Sam Anderson that argues that "it's too late to just retreat to a quieter time." We may as well revel in the Circle, autonomy be damned. Mae's decline - or is it her ascent? - reveals clearly the price of such surrender. If the novel has an antagonist, it is Tom Stenton, clearly modeled on Google chief Eric Schmidt, whose digital utopianism always sounds ominous. The man has actually said, "We know where you are. We know where you've been. We can more or less know what you're thinking about." I am talking about Schmidt, that is, not his fictional doppelganger, though Stenton has plenty such gems of his own. In 2008, the journalist Nicholas Carr wrote a much-discussed essay for The Atlantic called "Is Google Making Us Stupid?," which eventually turned into The Shallows, a finalist for the 2011 Pulitzer Prize. The answer to Carr's question - despite what the likes of Schmidt might claim - is an unequivocal yes. I don't know if Eggers read The Shallows, but it quite obviously informs his suspicions about the Age of Google. Together, these two books are a powerful argument for turning off your iPhone and going for a walk. Inundated by emails, chasing links, Carr laments, "I missed my old brain." Mae, tragically, has no such qualms, scorning "the selfish hoarding of life...all that messiness of humanity." The Circle will eliminate all the chaos, shine light on all the darkness. Or so she thinks.